Why it matters: Intel's Core i9-8950HK has only been on the market for a few months and thus, isn't yet widely available - especially in a thin and light configuration with capable graphics at a reasonable price. For this reason, Origin's new EON15-S is a welcome addition. 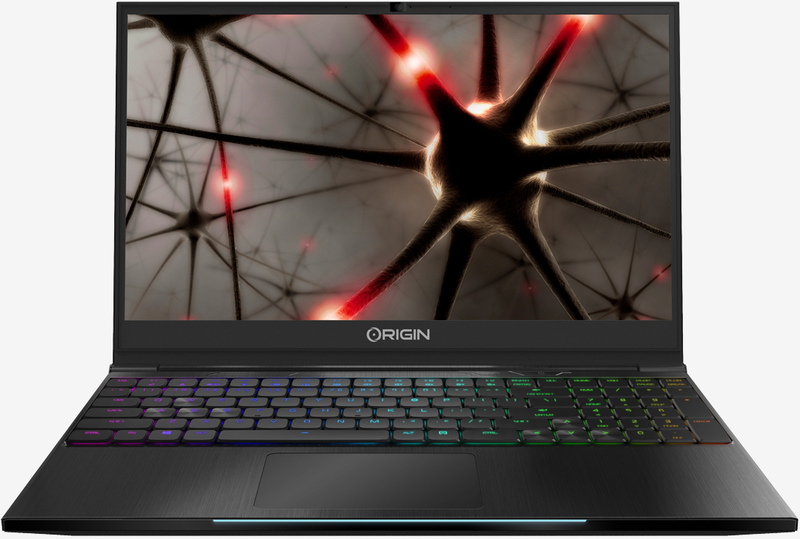 Boutique PC builder Origin PC on Wednesday announced two new gaming laptops powered by Intel’s Core i9 processor. The EON15-S features a 15.6-inch FHD (1,920 x 1,080) display driven by Intel’s Core i9-8950HK six-core processor that can be configured with up to 32GB of DDR4 memory and an Nvidia GeForce GTX 1060 6GB GPU. There’s also room for up to two m.2 PCIe SSDs and a hybrid mechanical RGB keyboard with individual key lighting – impressive considering the system measures less than an inch thick and weighs just 3.4 pounds. Origin says the EON15-S also features a battery-saving toggle that offers up to eight hours of “casual, everyday use” at the touch of a button. The new EVO17-S, meanwhile, packs the same Core i9-8950HK CPU and up to 32GB of RAM but makes room for beefier GeForce GTX 1070 graphics. Its 17.3-inch display is available in your choice of UHD G-Sync (3,840 x 2,160) or FHD (1,920 x 1,080) flavors although do note, it’s a bit heavier at 6.6 pounds. Like the EON15-S, it also measures less than an inch thick. Pricing starts at $1,449 for the EON15-S and $1,999 for the larger EVO17-S although it’s worth pointing out that the Core i9 isn’t yet available on the smaller machine. That option is coming soon, we’re told. Both systems are available to order from today.